Porta Mallorquina - your leading real estate agent in Cala Ratjada! You are looking for a property for rent in Cala Ratjada, or have a question regarding our real estate offers in Mallorca? You were not able to find the ideal apartment in Cala Ratjada? Then please call us on +34 971 698 242, or send us an email to info@portamallorquina.com. Our Porta Mallorquina real estate agents in Cala Ratjada will be pleased to asist and will help you find your dream property. Cala Ratjada was formerly a fishing village which has been developed as one of the most popular tourist centres of Mallorca. Some very nice beaches and bays belong to this village, in summer time the village is very lively and busy and offers a lot of cafés, restaurants, biergardens etc. Also many sporting activities such as diving, horse riding, tennis, golf and cycling are available. 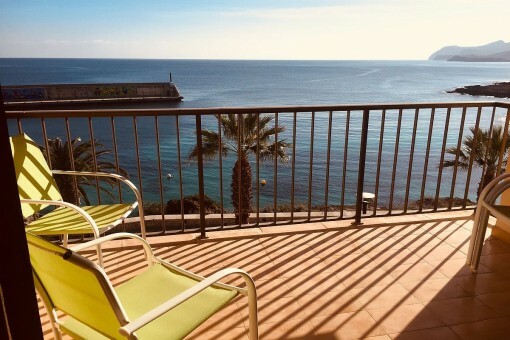 you are reading: Cala Ratjada long term rental: properties in Cala Ratjada to rent · Porta Mallorquina Real Estate Rating 4,8/5 by 200 testimonials.